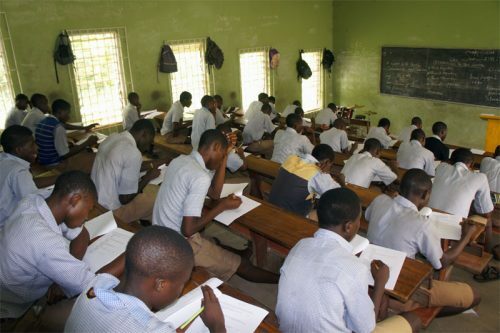 The West African Examination Council has announced the results of the First Series of the new diet of the West African Senior School Certificate Examination for private candidates in the country. Announcing the results at the Lagos headquarters of the council in Yaba on Tuesday, the Head of the Nigeria Office, Mr. Isaac Adenipekun, said out of the 11,307 candidates that sat for the examination between January 29 and February 12, 2018, 1,937 candidates, representing 17.13 per cent, obtained credits in five subjects and above, including English Language and Mathematics. Adenipekun also said the results of 1,021 candidates, representing 9.03 per cent of the total candidature for the examination, are being withheld in connection with various reported cases of examination malpractice. “The cases are being investigated and reports of the investigations will be presented to the appropriate committee of the council in due course for consideration. The committee’s decisions will be communicated to the affected candidates,”he said. Adenipekun described the conduct of the First Series of the additional diet for private candidates as a success. He, however, expressed the hope that it would reduce pressures on the conduct of the WASSCE for school candidates, address the do-or-die attitude of some candidates and thereby, reduce cases of examination malpractice.